While in the waiting room the other day, I overheard a couple of military spouses talking about an assignment to MacDill Air Force Base in Tampa, Florida. Politely joining in on their friendly conversation, I learned a little about the laid-back Gulf Coast lifestyle. Later, when searching through the premium listings on MilitaryByOwner, I was drawn to the charming nature of Tampa Bay homes. It seems that many residences include a spacious layout, a screened-in patio and, often, a refreshing spa or sparkling pool. When looking for further scoop on houses in popular off-base areas, I browsed the neighborhood reviews written by military families on Military Town Advisor. If you're anticipating a move to MacDill Air Force Base, Coast Guard Station Clearwater, or simply Florida dreaming like me, follow along for a few glimpses of gorgeous Tampa estates currently listed for sale. As the coastal sunshine warms the months of June, July, and August, the Tampa area becomes a bit toasty! 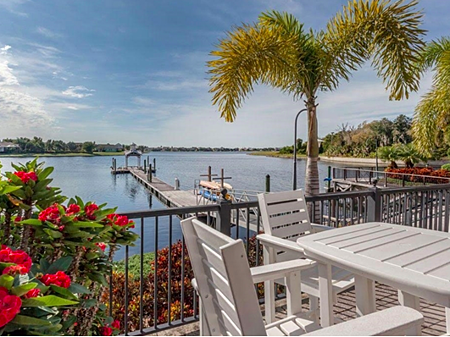 If those soaring summer temperatures have you wanting to be near the water, this Riverview property is around 10 miles out from the Manatee Viewing Center near Apollo Beach. 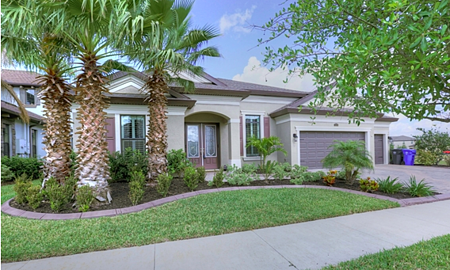 This 4-bedroom, 3-bathroom abode greets you with a nearly 3,200-square-foot floorplan. No cramped quarters here! The expansive layout would make it easy as can be to unpack from your PCS move and quickly settle in. Gather your whole crew around the glossy granite island in this practical and stylish eat-in kitchen. Since you’re only around 30 miles down I-75 and the Selmon Expressway, whip up breakfast for your bunch before taking off for MacDill Air Force Base. When you breeze back home, take the family out for a stroll around the Bell Creek Nature preserve nearby. Whether following the boardwalk near manatees in the bay or trekking on a trail near your neighborhood, this address offers plenty of options for outdoor adventures. After a long day at work, relax in a comfy chair on your covered front porch and savor the passing breeze that trickles through the thick palm fronds shading your home. This is as close as you can get to “island life” here in Apollo Beach, FL. 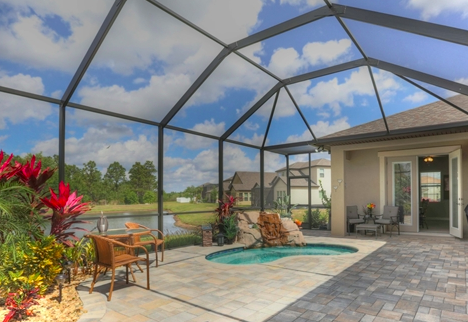 Just under 30 miles from MacDill AFB, you’ll find Mirabay Cove and this 4-bedroom, 3½-bathroom home. Perfect for entertaining, this 3,700+ square-foot property could easily become the go-to spot for large family gatherings or military squadron get togethers. 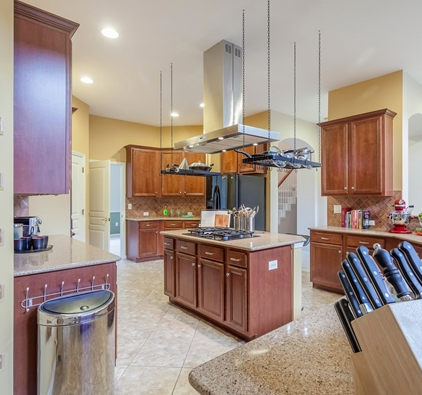 From sleek stainless to stunning granite, no expense was spared when designing this elite kitchen. 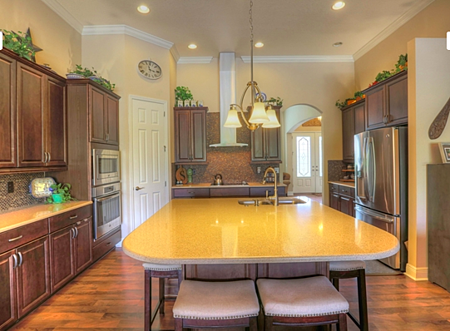 Embrace your inner foodie and create celebrity caliber dishes from this open concept cookery. Then, wander out and enjoy the abundant community amenities such as pools, playgrounds, courts, and stunning views of the nearby bay. Tampa becomes quite hot and humid mid-summer, although the cool air that floats inland from the glistening waters of the Gulf of Mexico can help ease the temperature. Those bay breezes also do wonders for local produce, such as the strawberry farms near Seffner. Come autumn, tall tales of bumper crops are shared around the Hillsborough County Fair held in Brandon. Other than frost concerns for orange growers, the fall, winter and spring months in the Tampa area are a little slice of paradise. By the end of May, the spring sunshine has warmed again towards summer heat and it’s time for regular trips to the beach! Considering these details (plus no state income tax! ), many chose to retire near Florida’s beautiful beaches. If a move to the Sunshine State is on your agenda, I recommend taking a little time to learn more about your upcoming destination. For helpful tips while searching for a home, linger awhile on the MilitaryByOwner website. Beyond just stellar listings, you’ll find a wealth of information on a variety topics that revolve around military life. 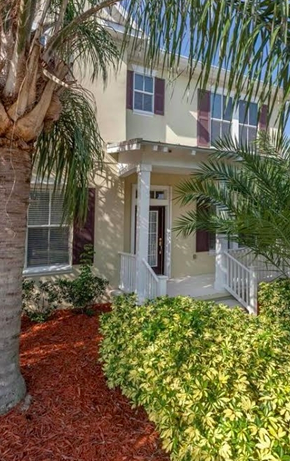 While these properties are no longer listed, take a look at the many other homes for sale or rent in the Tampa area from MilitaryByOwner.